The city of Santa Clarita wants to remind residents they can receive permit assistance from the comfort of their home or office by using the Online Permit Center available at santa-clarita.com/PermitCenter. The user-friendly website simplifies the permit process with a step-by-step Permit Guide, offering guidance throughout the approval and permit process. More than 1,000 permit guides have already been created using the Permit Guide software. Other features on the website include access to an eService where residents can apply for a new permit or view the status of a current one, and a schedule that outlines different times to visit the Permit Center at City Hall, depending on what service is needed. The Online Permit Center is currently only available for residential construction projects, and the city is working toward offering an option for commercial projects in the future. In 2018, the Building and Safety division issued 5,364 permits and performed 29,288 building inspections for more than 293 million dollars of new construction within city limits. 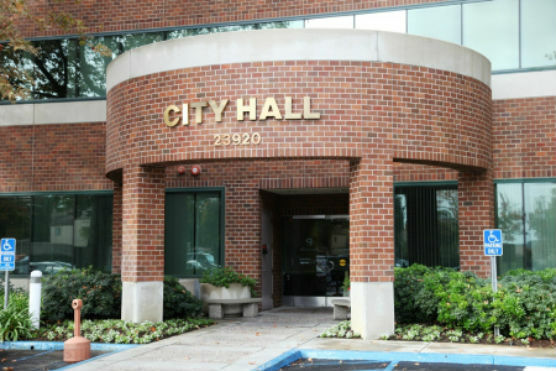 The Online Permit Center will aid the city with its goal of allowing residents to have the most efficient service possible, while also remaining committed to the integrity of new buildings. For more information, please contact the Building and Safety Department at 661-255-4935.